President Donald Trump on Monday said he had no plans to fire Deputy Attorney General Rod Rosenstein, putting a halt to rumors that he would do so. 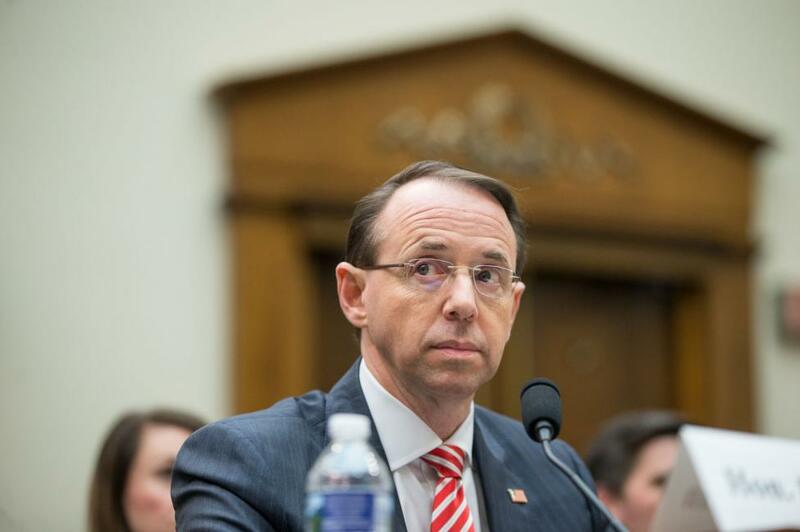 Rosenstein accompanied Trump on board Air Force One as the president flew from Washington, D.C. to Orlando, Fla. to speak at the International Association of Chiefs of Police's annual convention. During that speech, Trump had kind words for Rosenstein, who had been the subject of a New York Times article two weeks prior in which anonymous sources said the Deputy Attorney General questioned Trump's fitness for office, considered wire-tapping the president and talked about invoking the 25th amendment to remove him from power. Rosenstein denied making such statements. "Thank you as well to our Deputy Attorney General Rod Rosenstein for being here, flew down together," Trump said at the IACP event. "The press wants to know, 'What did you talk about?' 'We had a very good talk,' I will say. That became a very big story, actually. We had a good talk." Afterward, Trump told reporters he had no plans to fire Rosenstein. "Yeah, I'm not doing anything. I'm not making any changes," he said, according to CNN. White House Deputy Press Secretary Hogan Gidley, confirmed to reporters that Rosenstein will remain with the administration. "They discussed various topics including the International Chiefs of Police event later today, support for our great law enforcement officials, border security, how to better address violent crime in Chicago and general [Justice Department] business," Gidley said.